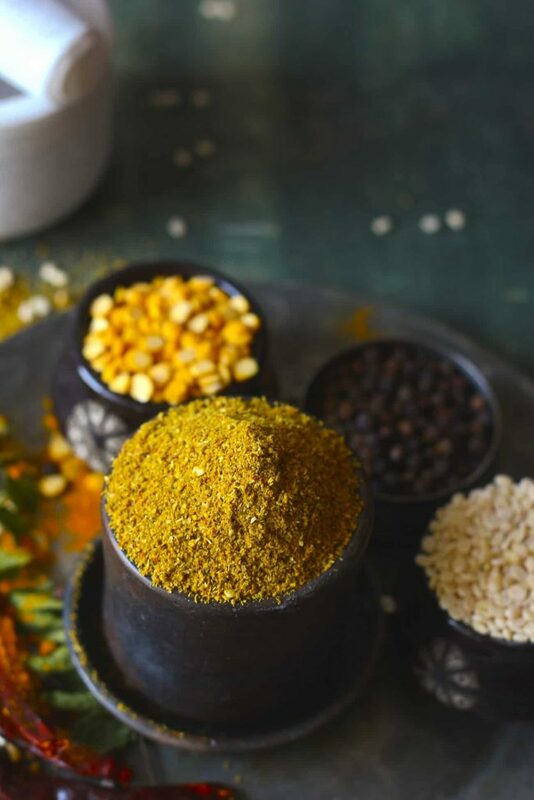 Homemade Sambar Powder is an integral ingredient in South Indian Cuisine. 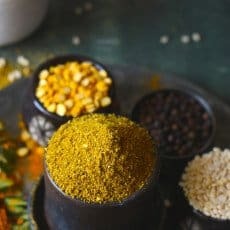 Sambar Podi is a kind of Curry Powder (see recipe here) but specifically made for giving flavour in Sambar. The Sambar Powder has lentils, curry leaves and dry spices. 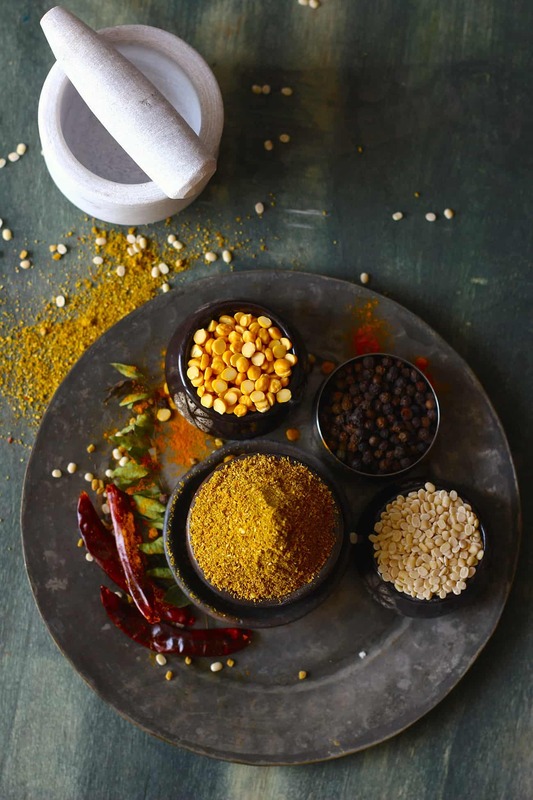 In the Southern part of India, every family has its own secret sambar podi recipe. The recipe is passed on from one generation of house ladies to another. Though the ingredients to make the Sambar Podi are almost same in all the recipes. But what distinguishes them is the proportion of each ingredient. 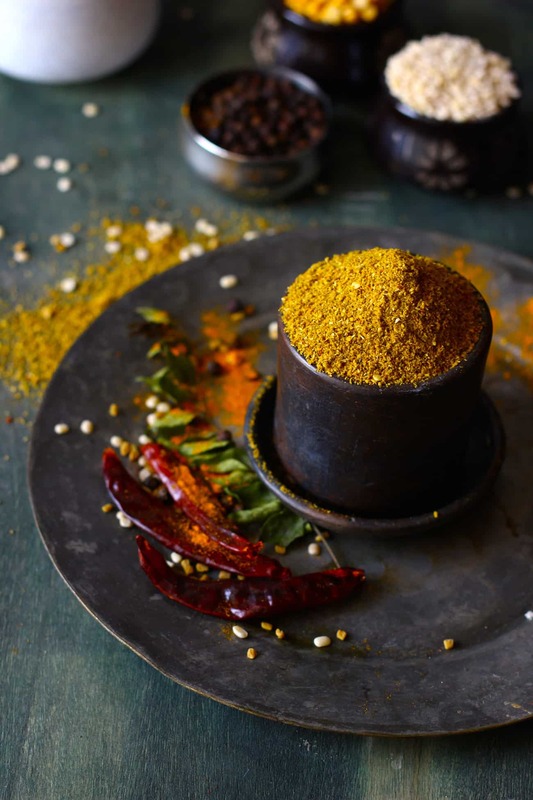 Each Sambar Powder has a peculiar taste of its own. 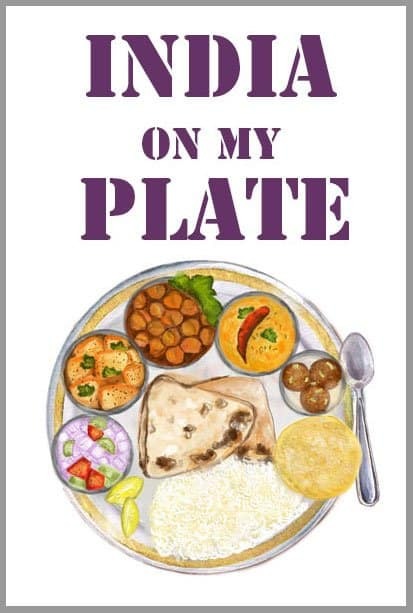 And that only makes Sambar (see recipe here) of each household different from the other. The recipe of Sambar Powder shared below is been generously hand out by a friend from Chennai aka Madras. Since then, I have never gone back to store bought Sambar Masala. This Sambar Podi Recipe yields one medium-sized jar full. 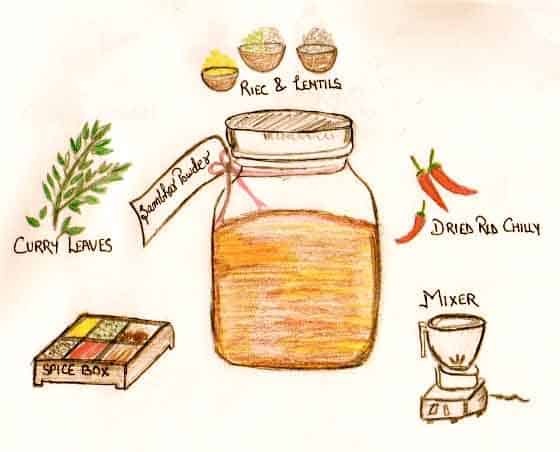 And for occasional sambar diggers like us, one jar of Sambar Masala lasts around 4- 5 months. But it entirely depends on your frequency of making Sambar. Still it is not a bad deal to grind Sambar Powder at home once in every 2 -3 months. In the images of Sambar Powder, the texture of podi is bit coarse. That is because I am not too keen on sifting the masala after grinding. But if you prefer the fine texture of sambar powder then sift it post grinding. 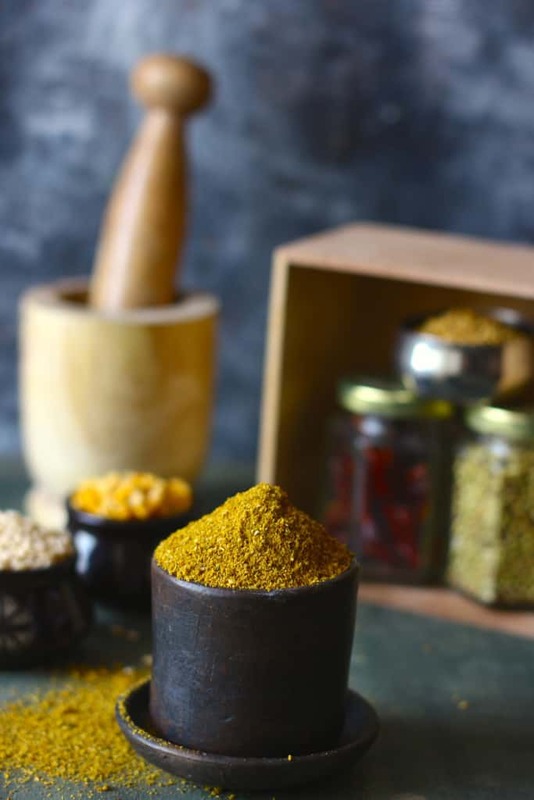 Homemade Sambar Powder is an integral ingredient in South Indian Cuisine. The Sambar Powder has lentils, curry leaves and dry spices. Dry roast red chillies till the chillies turn crisp. Set aside. Dry roast coriander and cumin seeds over medium heat till the aroma is released. Then dry roast the dals, each separately till golden brown and set aside. Dry roast fenugreek seeds, peppercorns, for 3 - 5 minutes. Set aside. Next dry roast the curry leaves till they turn crisp. At last, dry roast mustard seeds and hing. Once seeds start spluttering turn off the heat. Collect all the ingredients and let them cool down. Now add all the roasted ingredients along with the turmeric powder in the grinder. Blend to a smooth powder. If your mixer jar is small in size, grind the masala in batches. Spread the Sambar Podi in a plate and set aside to cool down.